Investing in Houston landscape maintenance will ensure that your outdoor living environment remains functional and attractive for many years to come. Just as daily and weekly housework keeps your home interior looking fresh and lively; a well-cared for landscaping design will likewise emanate a warm and vibrant appeal that makes living outside enjoyable and invigorating to the senses. While it is virtually impossible to find the time to maintain these outdoor elements yourself, it is possible to cost effectively contract Exterior Worlds to perform these vital services for you. There are certain procedures in caring for a lawn that we could regard as foundational to its existence. These services include aeration, irrigation, and fertilization. Aeration and irrigation should be performed in the early spring or late February, just before the growing season begins. Aeration does a number of things that improve the environmental quality of the soil for supporting plant life. An irrigation system supplies an appropriate level of water to plants and is controlled by an automated timer that requires readjusting at the beginning of each season. Other lawn services include chemical treatments, fertilization, and mowing. Ideally, fertilization should be done four times annually, with the most important application being administered in late February or early March. Chemical treatments are done at this time as well. 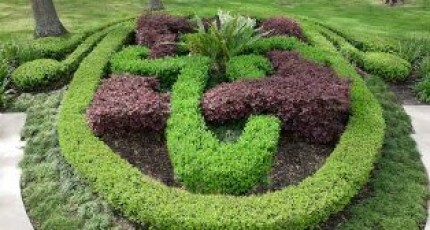 Most Houston landscape maintenance plans also offer clients regular lawn mowing services that the client can choose to have done bi-weekly or weekly, according to his or her specific needs and discretion. Ground cover trimming and edging is typically performed bi-weekly in order to keep these plants in a neat, proportional relationship with lawn grass. While we think of gardens as being primarily organic in nature, most gardens have a blend of organic and inorganic elements that need to be thoroughly checked before the beginning of each spring growing season. Structures such as trellises, arches, and pergolas need to be cleaned and repaired in order to maximize the garden’s architectural appeal as a unique zone of interest. Chemical treatments and fertilization need to be applied concurrently with similar lawn treatments in order to stimulate garden plant vitality. Additional work in the form of dead heading flowers, customized garden irrigation, and concealed drain installation and/or repair should be done at this time. 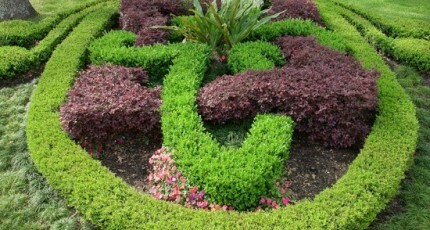 When appropriate, a Houston landscape maintenance agreement also includes a series of thorough rose care services. These procedures include pruning, insect protection, anti-fungal treatments, feeding, and fertilization. While trees represent some of the most resilient and adaptable forms of life on our world, they still need to be proactively cared for by humans. In addition to certain diseases and wood-boring insects, trees can be severely impacted by drought and nutritionally deficient soil. Deep root fertilization should be done every February or March in order to ensure that trees receive all the vital nutrients they need. Not only does this stimulate optimal growth, it makes the tree more capable of naturally resisting predation and disease. Tree pruning should also be performed at this time so that growth may occur in an aesthetically desirable direction. Additionally, many Houston landscape maintenance plans will include a variety of proprietary tree preservation procedures that can be implemented to protect and nurture trees that have become threatened in any way. Every winter, heavy rains and winds periodically plague our city. Surface areas that become contaminated by mud and debris lose their attractive luster. Hardscapes like outdoor courtyards, fireplaces, patios, retaining walls, and walkways should not only be washed down, but also checked for cracks that may have resulted from seasonal freezing. Houston landscape maintenance plans can cover basic repairs to these surfaces if damage is such damage is discovered during inspection. Drains must be rigorously cleaned as well, and debris must be removed from swimming pools, pool copings, and patio areas. All pool mechanisms, including pumps, water jets, and fountains, should be also be inspected and cleaned. From this, we can see that core maintenance service offerings often require special focus and/or customization in order to add value to specific landscaping designs. Such agreements are best developed and executed started in late February in order to ensure that all the basics are covered and that any custom landscape features are properly attended to. A New Year’s investment in Houston landscape maintenance will offer your property the best possible assurance for lasting curb appeal for many years to follow.